FREE shipping on orders over € 25. First 6 letters are FREE. Afterwards € 0,75 per letter of symbol. 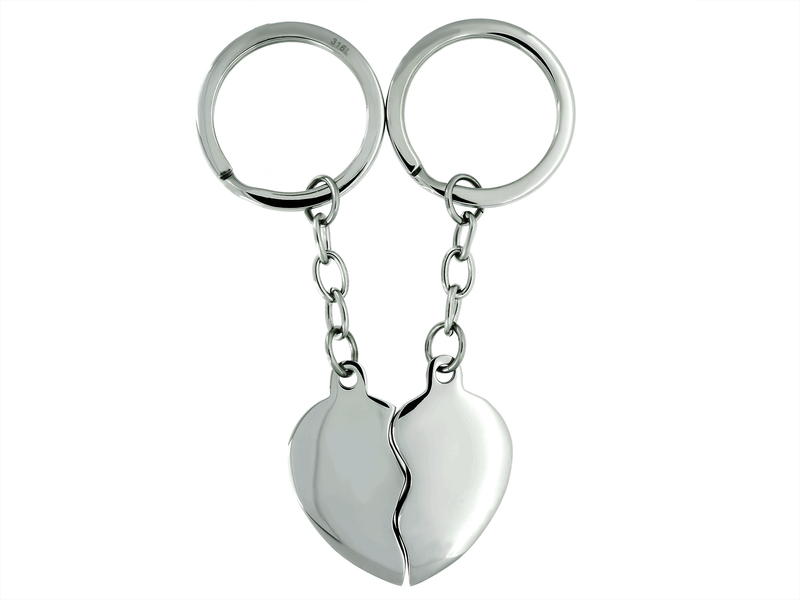 Harry & Sally are 2 half heart key chains that form one big heart together. This way they can be worn by 2 persons. This is a wonderful gift to give to your special person and use it yourself at the same time. Both the front and the back of this key chain can have a name, date or text engraved. The preview feature allows you to add your own text to simulate the result in advance. 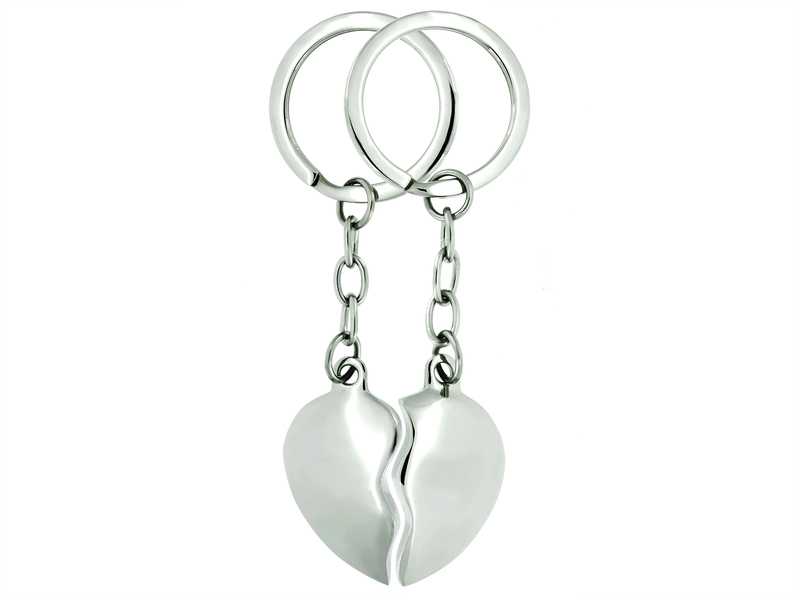 This key chain is made of high quality stainless steel. This is a nickel free material, so that the jewellery is antiallergic. Additionally, this material is solid so that the color can not change. Similar products Maybe you are also interested in the products below? Receive the latest news on our new products, promotions and special offers! At Gravura.be you can engrave the best quality jewellery online for a low price. The personalized jewellery options are endless. Name necklace, name bracelet, dogtag, keychain with name, tie pin with name, you design it! For original gifts, you only need your imagination! Do you prefer a name chain? Find your favourite necklace with name or dog tag and we'll engrave your design. 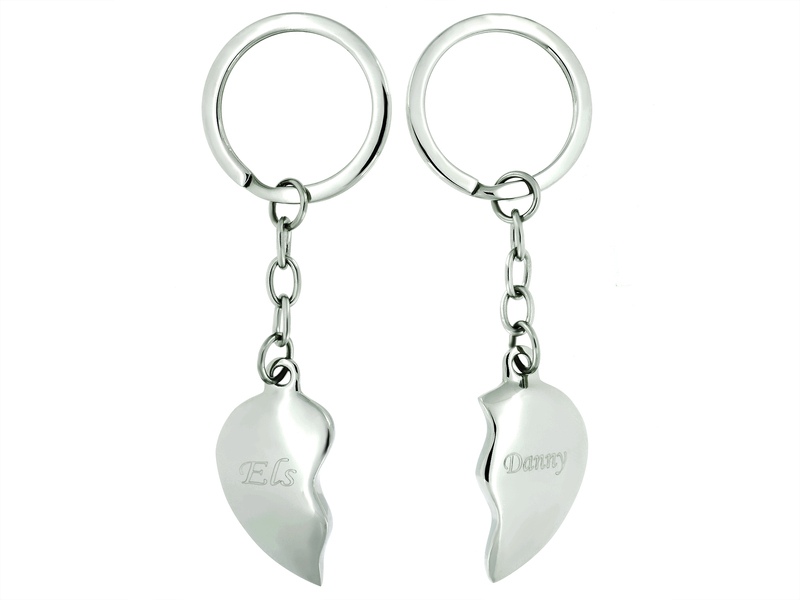 We can engrave the necklace with a name, date or text. A chain with photo is also one of the many possibilities. A personalized necklace is a great gift for a special occasion. Choose from our large collection of bracelets in silver, gold plating or steel. Most bracelets exist in different lengths. Design your own personalized bracelet. We make your unique bracelet with name engraved. Engraving a bracelet for a child is especially shorter. For small children, 15cm with an extra ring at 13cm and for teenagers 16cm with an extra ring at 14cm is ideal. Of course we can engrave the bracelet with name and / or date. A baby bracelet with name and date of birth is a typical gift to celebrate birth, and it is therefore called a birth bracelet, but is also often given at the baptism. Often the mother is also given a bracelet with the name of the baby. A mother daughter bracelet is therefore a wonderful gift to celebrate the birth. Are you looking for a chain for ashes of the deceased? With an ash necklace you can always wear your loved one close to your heart. We have a large collection of ash jewelry. The ash pendant can be engraved with name or date. An ash pendant with photo is also possible. The ash pendants are empty, without ash. The ash pendant should be filled with ash by yourself. Engraving jewelry, engraving a necklace, engraving a bracelet... This is how it works. First, choose your favourite jewel and design yourself the engraving with the preview feature. It can be a name, date, text or even a photo. Based on your design our experts then engrave the jewellery. For jewellery with photo, we offer the free service to cut away the background from the picture. This is recommended for busy and light coloured backgrounds. Gravura.be is specialized in custom-made jewelry. Thanks to our engraving service you can personalize jewelry with initials, names, dates and photographs. With our 35 years of experience in the jewelry industry we have acquired vast knowledge and skills on materials and techniques. This way we can ensure the best quality for the best price. © Copyright 1981-2019 Gravura. All rights reserved.